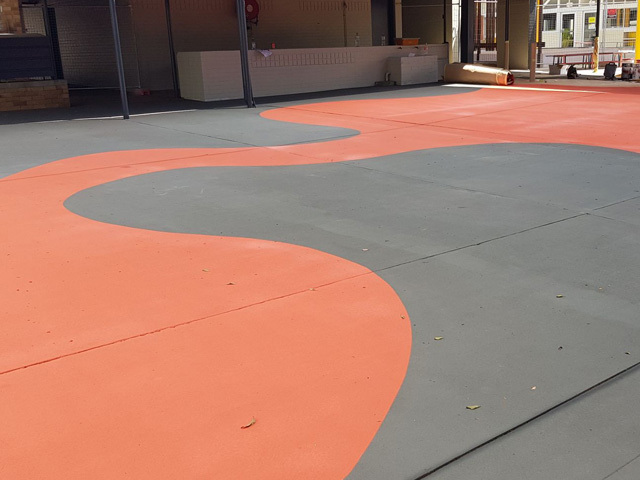 St Flannan’s School in Brisbane got the StreetBond™ treatment, with landscape architects specifying a new play surface for the students that is safe and much more colourful. 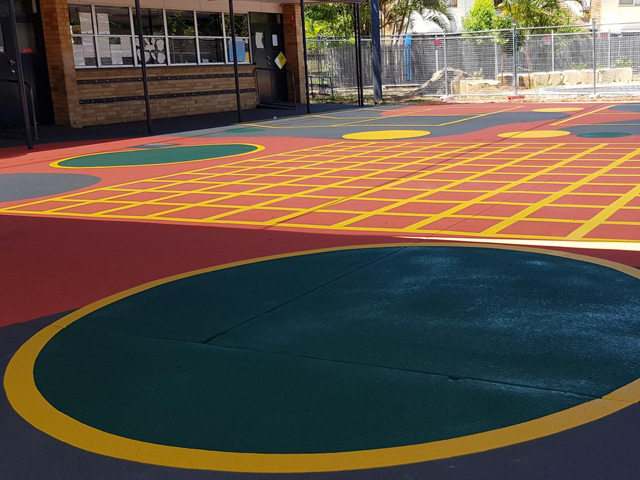 Located in the Brisbane suburb of Zillmere, St Flannan’s school was in need of a playscape makeover. 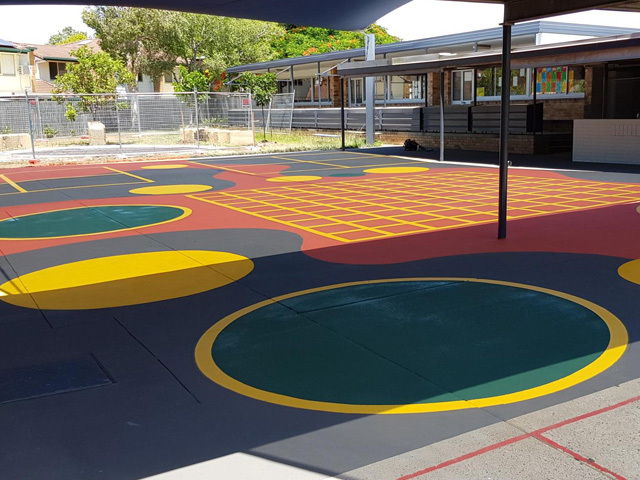 Brisbane firm Guymer Bailey was the landscape architect engaged to ‘activate’ the space under a shade sail between existing classroom structures where a plain concrete slab served as a play surface. 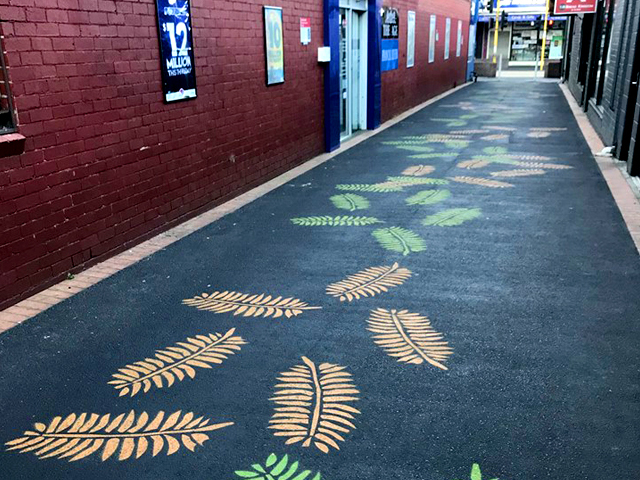 Installed by local company Brick n’ Pave, a pattern of freeform and rectilinear shapes was superimposed on a coloured background using Streetbond™ surfacing to liven up the space. 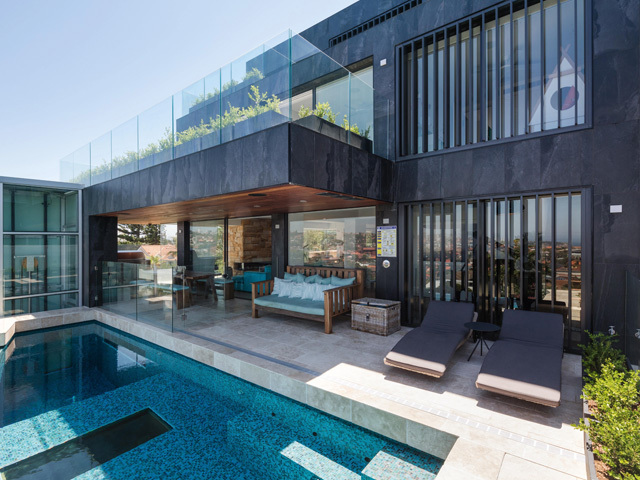 The colours chosen included hues from nature and an indigenous colour palette that complemented the surrounding buildings. 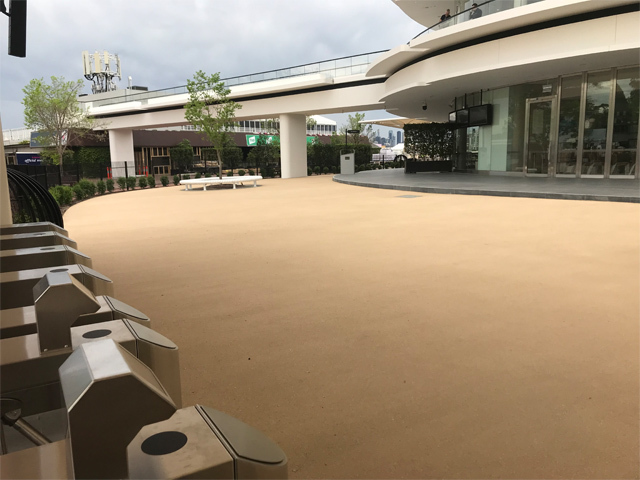 StreetBond™ 150 from MPS Paving Systems was specified for this project due to its durability and the large range of vibrant colours that are available. 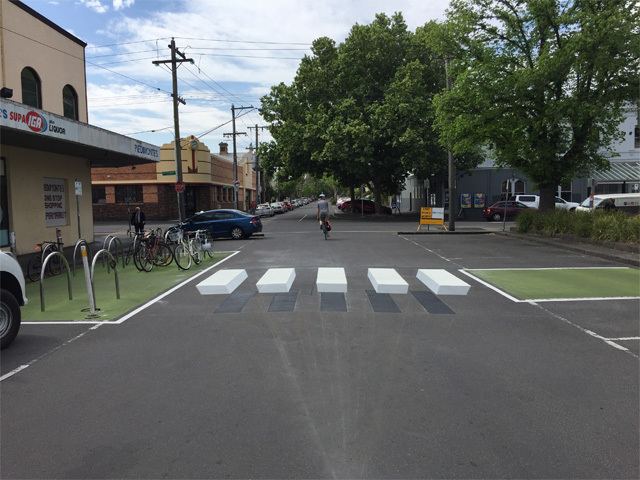 It provided an economical surface that was pleasant to sit and play on, with the added benefits of flexibility and safety. 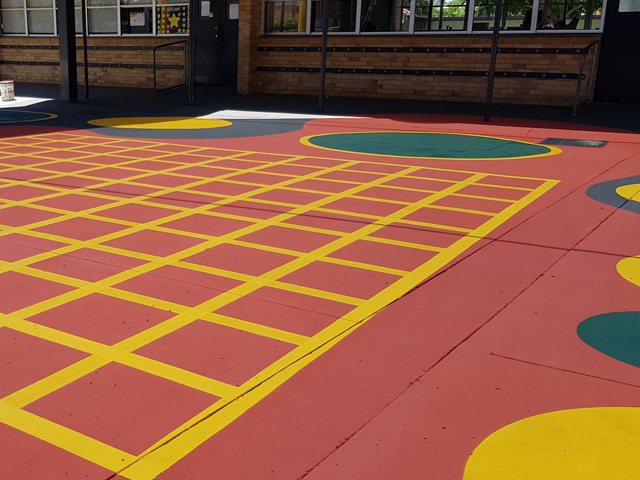 Streetbond™ 150 can be applied in any shape or design, creating different play elements with colour to stimulate games such as handball and hopscotch, while also satisfying nonslip safety requirements. Teachers can also use the shapes or markings as a learning aid, instructing children to assemble in groups of different numbers or singles depending on the activity. St Flannan’s school has advised it is very happy with the final result. The students now enjoy and utilise a space that was once a bare concrete slab and is now a clean and aesthetically pleasing playspace. 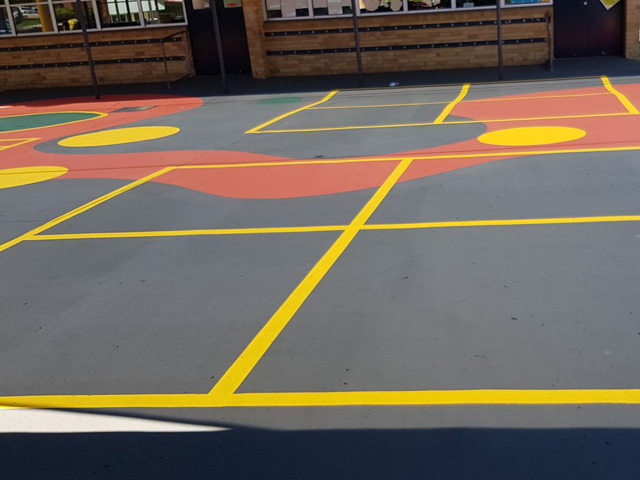 The range of StreetBond™ textured coating and paving paint from MPS Paving Systems is a practical solution to add softness and colour to otherwise hard-formed surfaces and structures. The anti-slip paint may be safely applied to a variety of surfaces to create colourful and safe flooring. 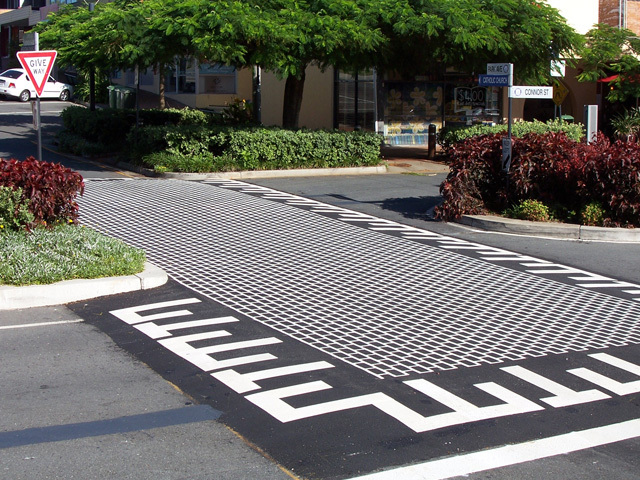 When commercial set ups and businesses have high foot traffic, it is important to reduce any slip hazards. 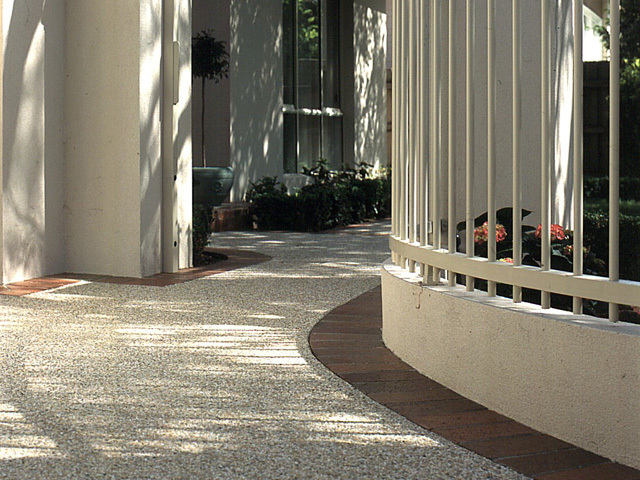 StreetBond™ provides peace of mind by increasing the slip resistance of flooring surfaces. To find out more about Streetbond™ and other surfacing services from MPS Paving Systems visit the website or call 03 9707 0077.